Last night, NVIDIA announced the transition of the well-known PhysX engine to “Open Source” category. From now on, its source code will be available to all comers, which will allow developers to correct errors on their own, customize and expand the standard PhysX features. The corresponding section has already appeared on the GitHub platform to download. 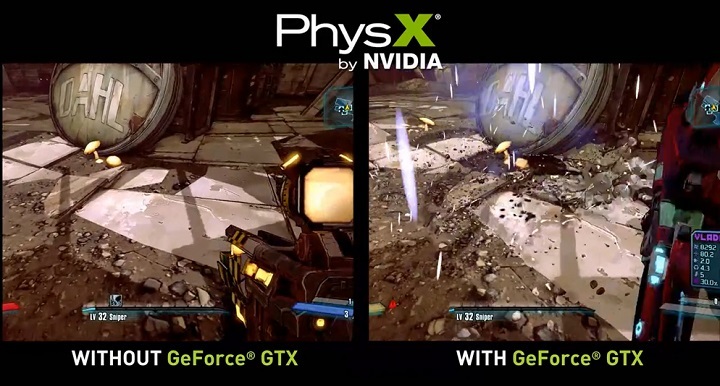 Originally, the PhysX engine was developed by Ageia, and special expansion cards were released for its hardware acceleration. Following the acquisition of Ageia, Nvidia has adapted CUDA-based GPUs for this task, leaving some of the effects to work on regular CPUs. Today PhysX has become part of many popular game development engines like the Unreal Engine and Unity3D. The list of platforms for which the PhysX Software Development Kit is now available for free includes Windows, Linux, OSX, iOS and Android. Nvidia attributes the possible areas of its application to artificial intelligence, robotics, games, autopilots for smart cars and much more. The company also announced the release of PhysX SDK version 4.0, carrying a number of new features. Its release is scheduled for December 20th.